Understandably, most people get agitated about exposing their treated skin to the sun. Nobody wants to spoil his or her recently treated skin as a result of being under the sun for a very long period. We have heard these complains and want to make sure you get the reality about going out in the sun after getting Botox and Filler treatments. Botox and Filler are the most popular cosmetic treatments all over the world. And for a good cause, it is a moderately safe, effective and demonstrated method to smoothen out fine lines and wrinkles, leaving you with a gorgeous looking skin. Botox is a purified form of a neurolysin that relieves muscle action wherever injected. This decreases the formation of some certain wrinkles and lines. A few strategically placed Botox injections can reduce the appearance of crow’s feet, frown lines and other irritating wrinkles around the eye and forehead area. Filler fill in wrinkles, folds and creases to help soften their appearance. Most of the popular filler brands are formulated with hyaluronic acid, a naturally occurring substance that attracts and retains moisture. Filler’s are commonly used to fill creases and folds around the nose and mouth and to create volume in the cheeks. Combining Botox and Filler is beneficial because they treat different types of wrinkles. Botox relaxes dynamic wrinkles, which are caused by repeated facial movements like squinting and frowning while Fillers smooth out static wrinkles, which are visible even when the face is at rest. Fillers restore lost volume and help to sculpt youthful looking contours and definition. Unlike other facial treatments, Botox and dermal fillers are non-invasive. This means there are no cuts or wounds to heal and there is no question of marks of such treatment. In simple words, there is no recovery time. Over the time, your eyebrow may lower or drop that makes you look much older than your actual age. Botox treatment can be used to lift the brow and make you look younger. Botox injections can also be used to effectively treat problem of excessive sweating which can be embarrassing for many. Botox and fillers treatment are considered highly safe and for most people, there are no side-effects of this treatment which is one of the reasons for its increasing popularity. With their cheap Botox and filler prices, Cancun is the ideal option for those of you who want to take advantage of the anti-aging and anti-wrinkle properties of Botox and Filler to preserve or to regain your youthful looks. Getting treatments at the best clinics recommended by My Medical Vacation is one thing, but to get your treatments performed while staying amidst such a stunning tropical brilliance is immense. Cancun is one of the most beautiful Medical Vacation destinations in the world, and is the perfect foil for your medical and cosmetic treatments. When you are looking online to find great prices for your Botox and Filler in Cancun, you have lots of choice and options. 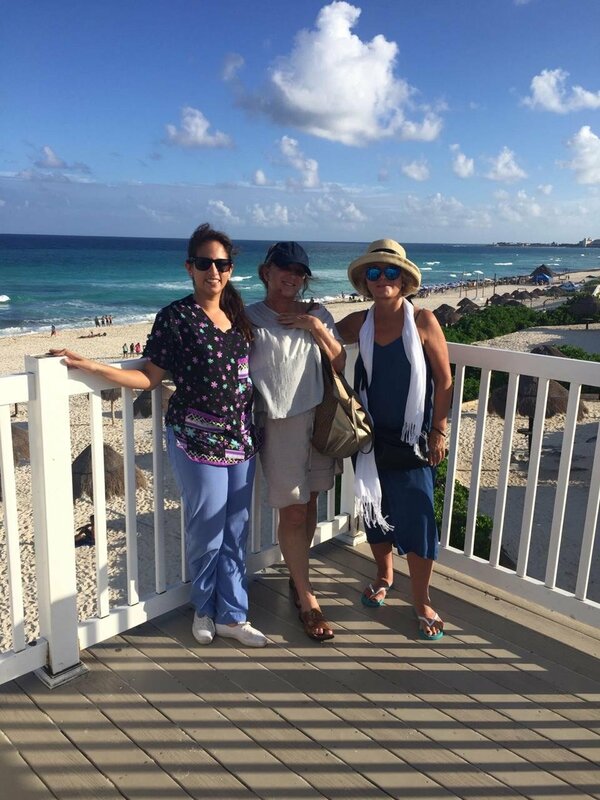 The best part about Cancun hospitals is that the most prestigious ones have professional staff that are trained to the highest international levels. With so many top-notch facilities in Cancun, when you want to find the most prestigious options for your dermal filler, My Medical Vacation finds the perfect options for you. If you are interested in Botox and Filler treatment in Cancun, Mexico, contact My Medical Vacation to help you fix and coordinate your appointment with a specialist. We help you with your appointment and procedure with hospitals and specialist. We take care of your transportation needs to and fro from your Medical appointment when you are on Medical Vacation in Cancun. Understandably, most people get agitated about exposing their treated skin to the sun. Nobody wants to spoil his or her recently treated skin as a result of being under the sun for a very long period.